More than eight out of 10 travellers passing through Malaga airport – Costa del Sol punctuate its services and facilities as good or very good, according to a report on the levels of quality perceived by passengers, regularly performed by Aena airports. This overall average is surpassed by other services such as assistance to passengers with reduced mobility, a service which users classified as outstanding. 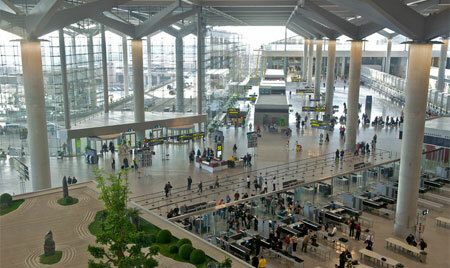 In general, cleaning, shopping and the commercial offer of the Terminal 3, which celebrates two years of its commissioning, were most appreciated by travellers and companions. The weak points of the facilities are long distances, the difficulty of movement and lighting. In addition, users feel the lack of free WiFi and smoking areas. According to surveys, the typical passenger passing through Malaga airport-Costa del Sol has an average age of 43, is travelling on vacation (67%) and is a foreign national (74%), mainly British (30%). Thus, the UK is a preferred destination and is the main destination of travellers since 38 % of the total volume goes there; being London the main city of the final destination. For transfer passengers, the main final destinations are Copenhagen (Denmark) and Berlin (Germany). For most frequent nationalities, the British are followed by Spanish (26%) and German (9%) tourists.